SAN JOSE, Calif. – April 12, 2012 – Cisco today announced it has expanded its small business product portfolio with new wireless access points, routers, switches, unified communications and partner-managed service offerings. These new solutions help to drive customer productivity and growth by allowing small businesses to get the most out of smartphones, tablets, and cloud applications and services. 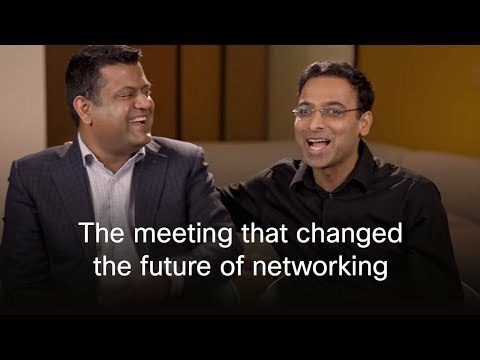 Cisco's product innovations are ensuring that businesses of all sizes can keep pace with the needs of their customers by staying connected with the right secure, reliable network. The new suite of small business networking and communication offerings builds on Cisco's dedication to provide partners who sell Cisco solutions to small businesses with a complete portfolio of purpose-built products and solutions to create the right networks for their customers. Cisco is also announcing new offerings today that help Cisco resellers offer new remote network management services. By extending the cloud-based partner managed service offerings of the Cisco OnPlus™ Service with new wireless network management tools and capabilities, Cisco will enable its partners to capture the growing demand for outsourced IT services that are being driven by the surge in smartphones and tablets that require secure Wi-Fi connectivity. These new products are being introduced as the reliable and secure connectivity required by the mobile devices and cloud services IT model are quickly elevating the role and importance of the network for small businesses. The number of mobile-connected devices is expected to exceed the world's population in 2012¹, and the adoption of cloud services by small and medium-sized businesses (SMBs) is expected to hit 98 percent by 2015². Furthermore, during the next two years, SMBs in the U.S. alone are expected to spend $50 billion on cloud services³. Last year, driven by cost and performance, 33 percent of handset and tablet traffic was offloaded from 3G/4G mobile networks onto fixed networks. Cisco's new WAP121 and WAP321 wireless access points provide customers with fast, robust coverage to support increased productivity from devices while protecting sensitive data. The sleek design and Power over Ethernet (PoE) support enable easy ceiling, wall and shelf mounting to optimize the Wi-Fi coverage area. Cisco WAP121 and WAP321 wireless access points are currently available. List pricing is US$173 and US$310, respectively. As 71 percent of SMBs consider themselves a mobile, work-from-anywhere business, it's imperative that they have high-speed, highly secure connectivity to main office networks. To address increasing connectivity needs, Cisco has added the easy-to-use, high-performance RV180 and RV180W Wireless-N to its line of routers that are purpose-built for small businesses. An intuitive, browser-based configuration, along with Gigabit Ethernet WAN and 4-port Gigabit Ethernet and up to 10 concurrent VPN connections. The RV180W Wireless-N router can be deployed as a router, wireless access point, bridge or repeater. Cisco RV180 and RV180W Wireless-N routers are currently available. List price is US$182 and US$246 respectively. Data traffic from smartphones has more than doubled every year for the past four consecutive years, driving the need for increased network bandwidth to accommodate additional devices and higher traffic per device. 5 or 10 Gigabit true stacking provides optimum performance. Models ranging from 24 to 52 ports, these switches also offer automated management of redundant broadband connections through Virtual Router Redundancy Protocol (VRRP) to support the need for always-on connectivity to cloud services and are IPv6 compatible. Cisco 500 series stackable managed switches are currently available. List price ranges from US$590 to $5,556. Voice and unified communications technologies provide a valuable productivity boost to any business, especially small businesses. Workers using unified communication technologies are estimated to gain 32 minutes per day of time in productivity. Cisco UC320W is currently available. List price US$995 (phones not included). Cisco SPA512G and SPA514G phones are currently available. List price of US$194 and US$219, respectively. Easy-to-install 2-port adapters with option routing capabilities are designed to connect analog phones and fax machines to IP voice and UC solutions. SPA112 and SPA122 telephone adapters are currently available. List price is US$69 and US$84. Designed for Cisco's SPA300 and SPA500 Series phones, the WBPN Wireless-N bridge converts a wired IP desk phone into wireless IP phone Cisco WBPN Wireless-N Bridge is currently available and has a list price of US$62. The Cisco OnPlus Service enables solution providers to expand their managed services offerings with valuable network advisory services. The cloud-based service provides solution providers with a simple and affordable way to deliver assessment, management and proactively advise their small business customers from anywhere and anytime. The real-time alerts and remote management capabilities of OnPlus enable solution providers to detect and resolve problems quickly to elevate customer satisfaction and efficiently to preserve their own profitability. The new OnPlus wireless managed services add-on provides solution providers with extensive reporting on wireless devices and traffic to help ensure customers maintain productivity by keeping their mobile devices connected to cloud service while onsite. Cisco Capital® offers a wide range of flexible financing services designed to streamline the acquisition of Cisco technology for small business customers around the world. "The uptick of mobile devices within our school is on a steady climb. As we prepare for a 1:1 iPad program in our sixth grade as well as iPads throughout K-5, with Cisco's small business portfolio of mobile managed services, we can monitor our network, keeping a watch on common issues and faults, while also ensuring that we adapt to the amount of IT changes that come with a growing number of devices. The latest small business enhancements to our existing systems are helping us to grow and build our network at the appropriate pace, allowing us to keep a competitive edge in the market." "The Cisco OnPlus network management device is a feature packed product that fits neatly into the small business market. The device was easy to install and did not require much configuration to start gaining useful data from my customer's network. The OnPlus network appliance offers some great features. Most notably is the ability to backup my device configurations to the cloud and offer a central location where I can review my customers' security advisories and field notices. The OnPlus device also has the ability to monitor my customers' network and provide proactive alerts." "With the proliferation of mobile devices and increased adoption of cloud applications and services in small businesses, having a secure and reliable network in place is business critical. The updated suite of our small business solutions and services provides customers with highly secure, reliable network technologies that are easy to deploy and manage. Today's announcement further demonstrates our continued commitment to providing cost-effective products to our small business customers." Visit Cisco Small Business Facebook page for product and services updates, videos and pictures. Visit the Cisco Small Business blog for product and services news, customer testimonials, and videos.